In this turbulent economy, there are no safe bets. Too many investment options seem to be beneficial for a day or two, but then they no longer guarantee any type of financial security. 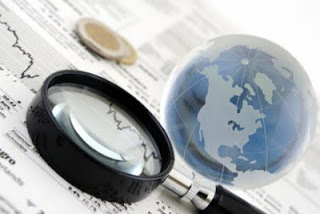 Fortunately, there are many different types of investment opportunities that can be used in tandem to make sure that your money stays secure in this turbulent global economy. The biggest thing you need to have a good portfolio in a rough economy is diversity. You need to be invested in gold and silver and you need to be invested in many different sectors of the economy. Government debts are only as good as the government that backs up that debt, so be careful when investing in government bonds. Whatever you do though, make sure you have several different options on the table when you go to put your money up for investment. Gold is a very stable bet in a rough economy. The price of gold will typically go up in a recession because it is a tangible good that can be bought and sold. There is only so much of it, and so the value of it is pegged to the amount of the commodity available. No one can print more gold, and gold is not a currency that relies on the confidence of the consumer like paper currency is. Therefore, when the dollar is down, gold is usually on the upswing. The only time you should be selling is if you feel like you need to take your profits from a stock that has reached its maximum potential, or if a stock has not done well over a long period of time. For example, if you bought a stock for 5 dollars, and it rocketed up to 20 dollars in a week, it might be worth selling that stock while it is still hot. A quick rising stock could easily crash back down to Earth in no time. Another example of a stock you might want to sell is a stock that has fallen steadily over the last 52 weeks, or is clearly showing no signs of being valuable again. Even in a rough economy, you don't want to sell too soon or else you could lose more money than you might otherwise be losing. Patience can yield longer term gains and you never know when your selling off of a stock could cause panic among others. Aside from gold, you might want to invest in CD's or US government treasuries. These are super-secure bets that you can sleep well at night knowing your money is safe. The US does not default on its obligations, and a CD has a set interest rate that is guaranteed as long as your money stays in the bank. Savings Bonds may also be another way to make sure your money is secure for a longer period of time. When the economy is down, even a guarantee that you can break even is a good thing, as these types of investments will not yield much more than 1 percent interest. This global economy is most likely going to stay turbulent for the foreseeable future. There is too much instability in the markets and too much money changing hands on a daily basis. With so many investments being written off, and with so many governments needing international bailouts, it is likely that there will be less certainty in the market for at least another year. Therefore, these types of investments are going to be what you need to keep your money safe until the market stabilizes.